Directed by Gore Verbinski (The Pirates trilogy/Rango), and staring Armie Hammer as the Lone Ranger and Johnny Depp as Tonto. Interestingly, I noticed Helena Bonham Carter is playing an unknown role as well. Set to hit theaters in 2013. They're reviving The Lone Ranger? I'm kinda interested in seeing it. dont see this being all that appealing to me either. Trailer 2 is finally out. Can we please just separate the three of them for a couple of years? Even without Burton we still can't pry Bonham Carter and Depp away from each other. The trailers don't look too bad. Can't tell if I want to see it or not though. Looks like a fun movie to me. Looks like an awesome movie to me. I just hope Tanto doesn't get more attention than the Ranger just because Depp is playing him. It's Disney. I'm surprised they're not marketing the hell out of him already like they did with Alice in Wonderland. Unimpressed by the new trailer, though the movie still looks good. Yup the movie was pretty much akin to Pirates in terms of style and quality. Fun and entertaining but very forgettable. I have heard very few good things about 'The Long Ranger'. I don't think I shall be seeing this one. Just got back from seeing it. Was surprisingly entertained, though you shouldn't expect anything super good if you go see it. why is the title of this thread called the long ranger? Got back from seeing this tonight. ^That's a pretty good summation. The movie has its strong moments and can be entertaining if given the chance. 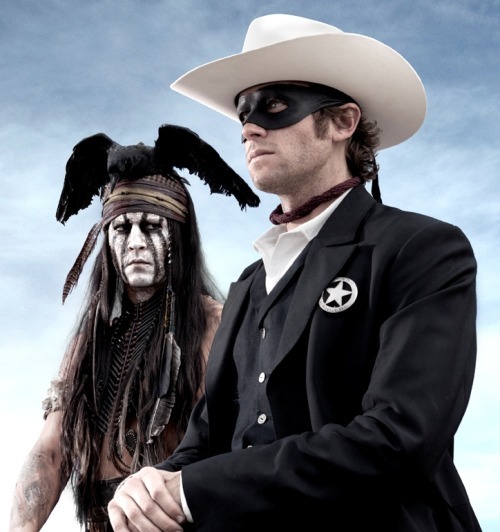 I thought Johnny Depp and Armie Hammer played off each other pretty well, and my favorite part was the last action sequence on the train with the Lone Ranger theme playing over it. The horse had some funny moments throughout as well. because, from what I've heard, the movie was incredibly long considering the delivery of the content.